Why Use RFID Asset Tracking? Asset tracking systems can dramatically improve efficiency for any business with either fixed or movable assets. As well as saving time and money, asset tracking can deter equipment theft, increase security, reduce instances of lost or misplaced items, and centralize data history about items’ location and use. Of the three main types of asset tracking — RFID, barcode, and GPS — RFID asset tracking systems are particularly useful for operations with small but expensive movable items, which might be moved around a single facility or between multiple ones. Fax machines, medical supplies, laptops, and office chairs might all qualify. Here, we’ll explain how RFID asset tracking systems function, how they compare to barcode or GPS tracking systems, and what to look for when picking out the best RFID tracker for your business needs. How Does RFID Asset Tracking Work? Radio-Frequency Identification (RFID) asset tracking uses a system of RFID tags and electromagnetic readers to collect data from fixed or movable assets. The tags are attached to each item that is being tracked, while the readers are at each location that needs to be tracked. When the readers are in close enough proximity to each tag, the electromagnetic field will transmit the data, which can then be logged in a central database. Once scanned, the asset’s location will be logged in the system along with additional data from the RFID tag itself, which might include maintenance needs and history, depending on the type of tag. A reader can log multiple RFID tags at a time, allowing workers to audit an entire room of assets in a few seconds. RFID asset tracking comes in two main categories: passive and active. These categories refer to how the RFID tags transmit data – active tags use a built-in battery to send out intermittent electromagnetic signals, while passive tags do not, and instead simply send back a signal that a passive RFID reader initially sends to them. Passive RFID asset tracking requires a little more skill than active tracking, due to the passive tags’ more limited range. However, neither type of RFID tracking requires a line-of-sight scanner that barcode tracking systems use, making RFID a much faster and simpler tracking process. Both categories of RFID tracking can be quickly completed by the typical employee, avoiding the need for the time and skilled labor required for physical inventorying. An active RFID tracking system is composed of three parts: A tag, that tag’s antenna, and a reader. 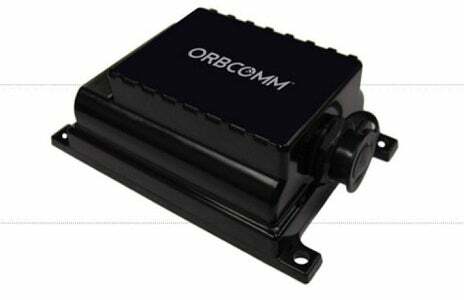 Signals are sent outward from the antenna of the battery-powered tag and will be received by the reader if it is within the read range, which is usually 50-100 feet but can be as far as 600 feet. Active trackers have higher memory capacities and can store more information, but will only last between three and five years before their batteries must be replaced. They are typically fist-sized or smaller, with a surface of plastic or rubber. While active and passive tags can be used in a variety of environments, active tags are more ideal for higher value assets. They are also better for travel between facilities, as the tags’s wider range and active signal provides more data and makes them easier to find. A passive RFID tracking system is composed of the same three parts as an active one: A tag, the tag antenna, and a reader. However, a passive tag won’t send its own signal – it must first be scanned by a signal sent from a handheld reader. The reader sends energy to the tag’s antenna, which turns the energy into radio frequency (RF) waves and sends a signal, called “backscatter”, back to the reader. Passive tags can come in a wide range of sizes and materials; some can handle extreme temperatures and weather, while others cannot. They might be physical tags, they might be embedded in equipment, or they might look like a label and be called an ‘inlay’ – whatever the case, a passive RFID will last for decades before eventually breaking down from wear. The main difference between passive and active RFID tags is that active tags have a built-in power source and can automatically broadcast their location to a reader, while passive tags have no power and can only respond to a reader’s signal. Here’s a quick table to provide a clear comparison of the pros and cons offered by active and passive RFID asset tracking systems. Max range limit 10-100 ft. 300-600 ft. 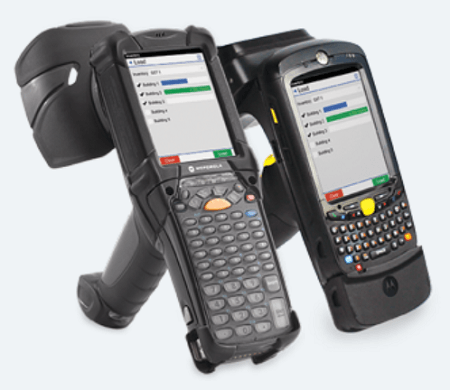 Both RFID and barcodes offer a way to automate asset data collection. Barcode asset tracking systems, as you might be able to guess, use barcode labels on assets. Each label must be directly scanned by a laser reader in order to be entered into the system. The two systems come with their own pros and cons. Barcodes are generally best for inexpensive, small items that are frequently moved or sold, which is why this system is common in grocery stores or pharmacies. RFID tags are better for owned assets, however, and allow for faster and more secure auditing of existing items. By one count, RFID tag reading is faster than barcode scanning by a factor of 20. Asset tracking is easier with RFID: An RFID reader can log multiple assets at once from anywhere, provided they are within the read range, while a barcode must be within the line of sight of the laser beam itself, and can therefore only be scanned one at a time. RFID is also more secure, since barcodes can be replicated more easily. While barcodes are cheaper – unlike RFID tags, barcodes can be printed onto blank labels – RFID tags are more durable, and offer greater value for their cost. Range limit 10-600 ft. 2 in.-2 ft.
GPS offers an even more powerful version of asset tracking than active RFID tags. The major difference in the benefits offered by RFID and GPS is the frequency, amount, and type of data each one can log. RFID can send data, but only when logged by a handheld reader; meanwhile, a GPS can bounce signals off a satellite, delivering them directly to its software anywhere in the world as frequently as every five seconds. GPS hardware units are slightly larger than active RFID tags. These units can be plugged into a vehicle or directly wired to its engine, which allows them to track engine status, log when the ignition turns on and off, and calculate how many hours it has been in operation. Many GPS trackers can send automatic text or email alerts to managers, letting them know details like when a driver takes a turn too hard, or passes outside of a certain geographic region. While RFID is used for keeping track of fixed and movable assets, GPS is specifically oriented towards large, high-value movable assets, from construction equipment to forklifts and other vehicles. Since GPS trackers can tell managers where their assets are in real time, managers can be sure of exactly where their assets are, rather than just checking in at individual locations, as they do with RFID tracking systems. When deciding which type of asset tracking is the right fit for you, you might first want to look into what type of system is commonly used in your particular industry. When deciding for yourself, though, the primary factors to consider are the type of asset to be tracked, and the type of data you need to collect about your assets. If your assets are small, inexpensive, and you need to track their location only at specific intervals, barcode asset tracking might be the best option for you. It will cost the least, and you probably won’t run into any of its limitations. But if the system’s too ungainly, passive RFID tracking might be a better bet. If you have larger, more expensive, and frequently moved assets, active RFID tracking might the best system, as it can help your workers easily and quickly log data from assets as they enter a new warehouse. If you run a fleet of vehicles or other high-value equipment, GPS tracking can let you know where each asset is at all times, and can collect plenty of additional data regarding engine status or maintenance needs to boot. Still unsure? Fill out our simple form and we can help match your needs to the best asset tracking supplier for your business. We’ll even provide tailored price quotes to inform your choice. Who are the top asset tracking companies? You can learn more about the best Asset Tracking companies in our 2019 roundup. How far away can RFID tags be detected? Some passive RFID tags can only be read from a distance of a few inches, but most can be read from around three feet. Higher frequency RF waves can be detected from farther away than low frequency ones: Some high frequency RFID tags can even be read from one hundred feet away. The trade-off is that high frequency waves are more easily disrupted, which is why most passive RFID tags stick with a reliable range of three feet. Since active RFID tags are battery-powered, their signal carries farther. Most active tag signals can be detected from a maximum of three hundred feet, though some go as far as six hundred feet. 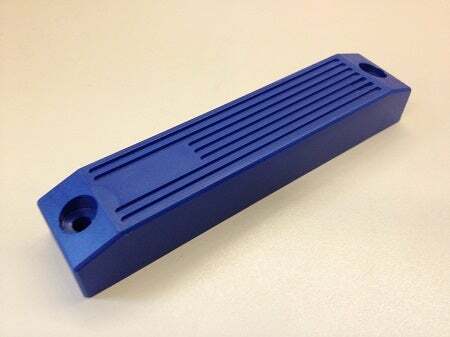 While the signals of certain RFID tags can be extended with special antenna, no RFID signal can get past the technology’s hard limits, which are around one hundred feet for passive RFID tags and around six hundred feet for active RFID tags. Can RFID scanners be blocked? 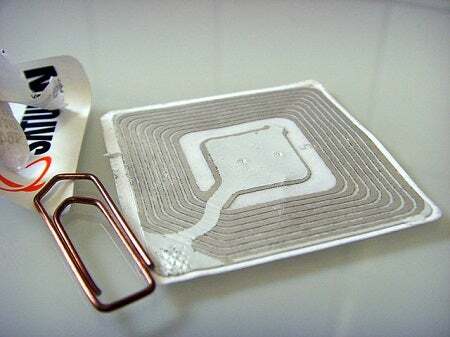 Different RFID tags use different radio frequencies, and specific frequencies can be disrupted or blocked by some materials, such as metal or water. Some types of RFID tags are designed to function even through a metal surface, which interferes with most normal RFID tags’ signals. If you discuss your concerns with your RFID tag vendor, they should be able to advise you on the limitations of their specific tags’ signal. Most RFID signals can be intentionally blocked with any metal, including aluminum foil. In addition, the electromagnetic signals generated by active RFID tags are not strong enough to affect your credit cards or passport. How much does Asset Tracking cost? RFID tags’ costs vary hugely; passive tags typically cost between 25 cents and five dollars each, while active tags cost between twenty-five and one hundred dollars. In addition, handheld RFID readers can be pricey – often starting at $1,000-$2,000 – while the software service that gathers, analyzes, and displays the collected RFID data may be another $35-$75 per month. GPS asset tracking typically runs $15 to $35 per asset per month for a bare-bones GPS functionality, and around $50 to $150 per asset per month for a feature-rich GPS asset tracking service. You can visit Tech.co’s guide to asset tracking costs for more detail. And, if you’re ready to start looking at the available top asset tracking vendors, you can try your hand at filling out our simple one-minute quotes form below.